It is one of the MUST VISIT places in China and finally i got to visit with my family this November. We booked our flight from Air Asia ourselves, the fare is nearly Rm1000 per pax. We decided to take Air Asia flight because it is the ONLY direct flight available to ChengDu (nearest city to JiuZhaiGou). So, if you plan to visit JiuZhaiGou..i would highly recommend you to take Air Asia because it is cheaper and more convenience. For the TOUR, we already booked ground tour package from china. The itinerary are mostly planned by my daddy. Basically, it is quite free and easy. The flight + tour is around RM5300 per pax for this 8D7N trip. Everything included except food. Overall, it was a wonderful experience to be close to the nature and be amazed by it. The locals said that Jiuzhaigou’s landscape differs every season, with autumn as the best time to visit. Well, that was what they told everyone, so be prepared for the crowds! Nevertheless, the landscape of winter at Jiuzhaigou was still remarkable and worth-visiting. The scenery was just as pretty as a picture, and even more beautiful in reality! Jiuzhaigou (九寨沟) is a county famous for its breathtaking natural scenery in Sichuan Province, about 460 kilometers away from Chengdu. You can travel there by air or by car from Chengdu. Flight is additional RM1000 per pax. ( Much depending on the season ) A flight takes around 40 minutes while a ride may take 8-10 hours depending on road conditions. But along the way, you can visit some attractions. 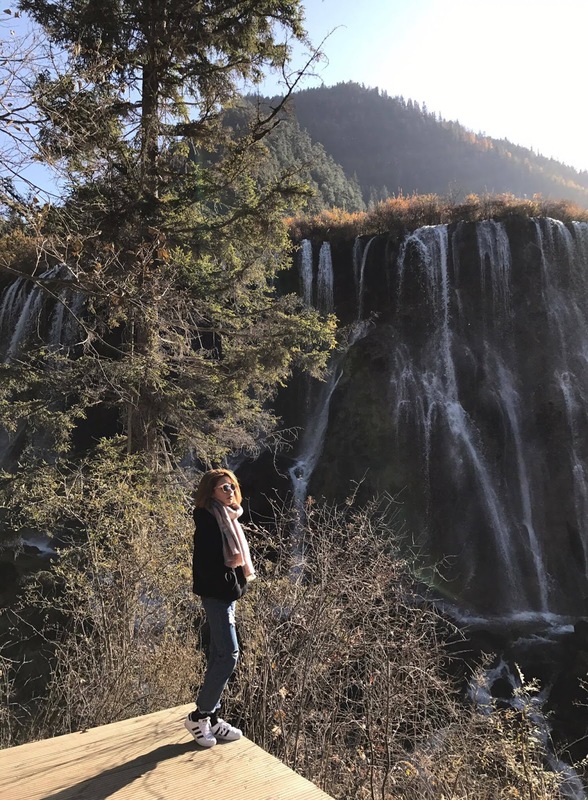 As Jiuzhaigou is located around 2000 m above sea level, some people may feel slightly uncomfortable or even suffer altitude sickness. Therefore, people prefer driving to flying there in order to prevent sudden altitude change by slowly adapting to it. In this journey, we took a bus to get there. The scenery along the valleys throughout the journey was wonderful and spectacular as well! Are you ready for the heavenly scenery? All photos is originally taken by my Lumix GF8, without any filter and edit. It is almost the same with all the google images i saw online. It is REAL! FIRST OF ALL! Remember to fully charge your camera, your phone and power bank and be prepare for a lot of walking because this attraction is super huge. You might need to spent the whole day inside. Every station is so photo worthy, you really need to choose the most beautiful one to go because it is impossible to visit all of them. But no worries, there is free shuttle bus to get you around and you can stop by any station you want to take picture. 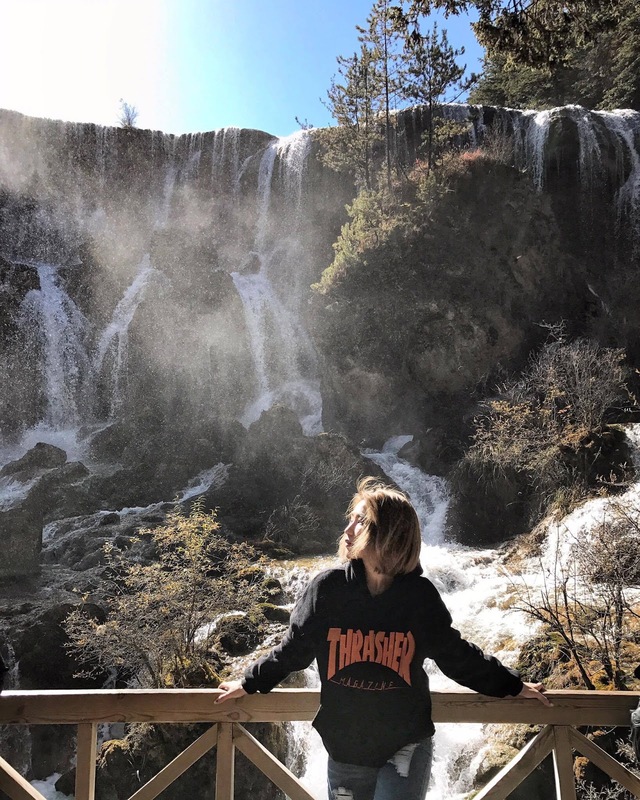 Of course, we don’t travel all the way just to visit JiuZhaiGou this entire trip. We do travel some of the places around. Will share about it in my next post.